1. Her parents are deceased. 2. She is apparently around the age of 21 when she marries Maxim de Winter who is 42. 3. At the time of her marriage, she does not appear to have much self confidence or social refinery. 4. She does not resemble the first Mrs. de Winter, Rebecca (which is apparently what attracted Maxim to her). 5. 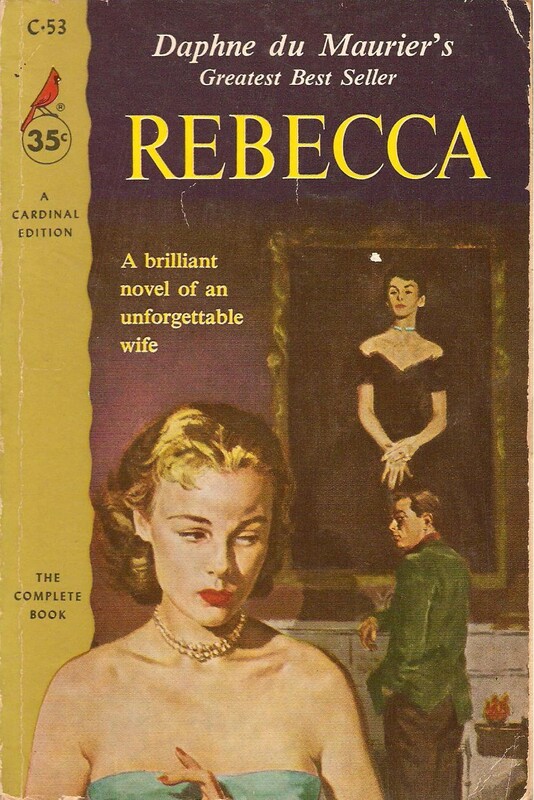 She and Maxim never really discussed Rebecca and the mystery surrounding this woman is becoming a little bit of an obsession for the second Mrs. de Winter. 6. She appears to like dogs. I certainly am interested in getting to the bottom of all this mystery and yet I find that the book is moving along a bit slower than I expected it to. Is anyone else experiencing this feeling? I liked this scene so much because I too love to receive parcels, especially those that contain books! The second half moves along faster than the first half. There is more action and suspense. I couldn't put the book down, which is why I am so tired today. I'll be sure to link this up on posting day so everyone can come and see! I posted on Allies blog, I do not have a blog site myself. I too wrote my my assessment and then found the second half to be so much more exciting. I think we all had the same feelings about no name, why Mrs. Danvers is still there and why in the world would you keep Rebeccas things around you and let people act as if she is still there. The room, Rebeccas, that Danvers keeps is really weird. I've found the narrator to be a bit annoying in the first half, but I can tell the suspense is starting to ratchet up. I also mentioned at Allie's post that I think Ben's comments on Rebecca are indicating that Rebecca may not have been a very nice lady. I think she was the one who threatened to send him to the asylum. I'm looking forward to learning the real story about who Rebecca was, rather than the perfect image that the narrator has created in her mind. Here's my post on the first half. It definitely picks up in the second half, especially after the ship has run aground. It is funny that one of the main themes in every one's post was: Mrs. Danvers is really creepy. It is totally true that after all these pages we still know almost nothing about the two main characters- Rebecca and the narrator. -Love the blog by the way. This is my first time visiting. learn from it as well. If you don't mind I would also reveal a tip. Getting good video marketing can also be fairly tough. I find it most worthwhile to speak to a a Amazing Bankruptcy Attorney San Diego. Our crew of Probate Attorney San Diego are here to help you with all of your legal needs. May I simply say what a comfort to find somebody who actually understands what they're discussing over the internet. You certainly realize how to bring a problem to light and make it important. More people need to read this and understand this side of the story. I can't believe you aren't more popular because you surely possess the gift.